The taxonomic history of the various Supersaurus elements in Jensen’s specimen is baroque and Byzantine even by the standards of sauropod taxonomy, and I won’t go into it just now (again, stay tuned), but the result of all the to-ing and fro-ing is that a fair sample of elements is available (the cervical, two dorsals, a crushed sacrum, a handful of caudals, two scaps and pelvic elements). But many aspects of its anatomy remain obscure, and the most that can be said about its affinities is that it seems to be similar to, but distinct from, the diplodocine diplodocid Barosaurus. No longer! As of six days ago, a new paper by Lovelace, Hartman and Wahl is — finally — out. It’s no exaggeration to describe this as one of the most eagerly awaited sauropod papers of the last decade, because it describes a brand new specimen of Supersaurus, WDC DMJ-021, from a quarry in Wyoming. It’s a little smaller than Jensen’s specimen, but very much in the same size class, that is, bigger than “Seismosaurus” and a lot bigger than any of the common-or-garden diplodocids you might see in museums, such as the Carnegie Diplodocus that seems to follow me around the museums of Europe. The paper contains some nice skeletal reconstructions (figs. 7-8 ) which show this well. Take a moment to look at those scale bars, by the way. On my screen, if I blow the image up to full size, it’s roughly life-sized. Scroll around a bit and take in the topography. You may gulp a little if you wish. A certain amount of gasping may also be in order. Lovelace et al. do a convincing job of showing that, while Supersaurus does resemble Barosaurus in gross proportions, it is in fact more closely related to Apatosaurus — a big surprise given that Apato is freakishly robust, and really stands alone among non-titanosaurian sauropods in terms of being absurdly over-engineered. As pointed out in the paper, however, this is more true in Apatosaurus excelsus and Apatosaurus louisae than in the type species, Apatosaurus ajax — and, indeed, if you check out the reconstruction of A. ajax in the frontispiece to Upchurch et al.’s (2005) monograph on a specimen of that species, you’ll notice that it’s not so crazy-fat as the Greg Paul apatosaur reconstruction we’ve all grown used to. So what does this mean? For one thing, it means that Taylor and Naish’s (2005) rather obvious phylogenetic definition of Apatosaurinae as (Apatosaurus not Diplodocus) now has some substance to it, as the clade includes not only Apatosaurus but also Supersaurus and — it turns out, according to Lovelace et al’s analysis — Jerry Harris’s Suuwassea. The latter result is not wholly unexpected, as Jerry’s (2006a) abominable(*) paper on Suuwassea‘s axial skeleton did point out similarities to Apatosaurus, but this is the first time such a topology has been recovered by a published phylogenetic analysis, Jerry’s own (2006b) analysis having found Suuwassea as an unresolved basal flagellicaudatan in a trichotomy with Diplodocidae and Dicraeosauridae. 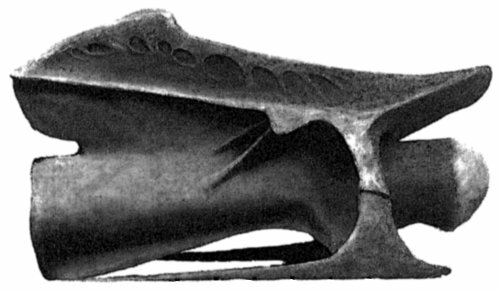 Another interesting consequence is that Apatosaurus‘s characteristically robust morphology now seems to be autapomorphic for the genus Apatosaurus itself, so that the ancestor of apatosaurines had a slender build, similar to that of Diplodocus, which was inherited by basal apatosaurines. It’ll be interesting to know what Jerry makes of this, and specifically how well Suuwassea fits this model. One odd side-effect in the phylogeny of Lovelace et al. (2008:fig. 14) is that (Barapasaurus + Patagosaurus + (Mamenchisaurus + Losillasaurus)) form a clade, which is the outgroup to (Jobaria + Neosauropoda). Omeisaurus falls outside this group, which is a surprise as it has sometimes been thought congeneric with, or at least mixed up with, Mamenchisaurus. (Both Mamenchi and Omei have multiple species, all based on lovely material but described in only the most cursory fashion, and it’s thought that some species of each genus may belong in the other.) It’s not obvious why adding a deeply nested apatosaurine diplodocid diplodocoid should have such a dramatic effect on so much more basal a part of the tree, but that’s what happens. I’d like to hear thoughts on this. Well, that’s enough for now, in what has become a much longer post than I intended. I finish by noting that Lovelace et al. also added “Seismosaurus” to their matrix, but found that not only did it clade with Diplodocus, it was scored identically! Accordingly, they concur with another recent paper that “Seismosaurus” is a junior subjective synonym of Diplodocus. In fact, they go further than that other paper did, and argue that poor old Sam is not just congeneric but conspecific with Diplodocus longus. That’s sort of sad — “Seismosaurus” was a pretty cool name. On the other hand, it does mean that NMMNH 3690 is the world’s biggest Diplodocus, and by some distance. And finally, there are a couple of neat photos of a Supersaurus mount, based largely on the WDC specimen, over on Scott Hartman’s site. I recommend them. Strongly. Harris, Jerald D. 2006a. The axial skeleton of the dinosaur Suuwassea emilieae (Sauropoda: Flagellicaudata) from the Upper Jurassic Morrison Formation of Montana, USA. Palaeontology 49 (5): 1091-1121. Harris, Jerald D. (2006). The significance of Suuwassea emiliae (Dinosauria: Sauropoda) for flagellicaudatan intrarelationships and evolution. 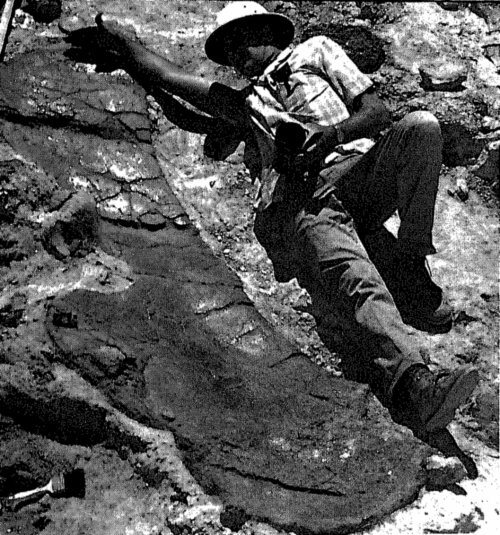 Journal of Systematic Palaeontology 4: 185-198. Jensen, James A. 1985. Three new sauropod dinosaurs from the Upper Jurassic of Colorado. Great Basin Naturalist 45 (4): 697-709. Jensen, James A. 1987. New brachiosaur material from the Late Jurassic of Utah and Colorado. Great Basin Naturalist 47 (4): 592-608. Lovelace, David M., Scott A. Hartman and William R. Wahl. 2008. Morphology of a specimen of Supersaurus (Dinosauria, Sauropoda) from the Morrison Formation of Wyoming, and a re-evaluation of diplodocid phylogeny. Arquivos do Museu Nacional, Rio de Janeiro, 65 (4): 527-544. Taylor, Michael P. and Darren Naish. 2005. The phylogenetic taxonomy of Diplodocoidea (Dinosauria: Sauropoda). PaleoBios 25 (2): 1-7. Upchurch, Paul, Yukimitsu Tomida, and Paul M. Barrett. 2005. A new specimen of Apatosaurus ajax (Sauropoda: Diplodocidae) from the Morrison Formation (Upper Jurassic) of Wyoming, USA. National Science Museum Monographs No.26. Tokyo. Wilson, Jeffrey A. 1999. A nomenclature for vertebral laminae in sauropods and other saurischian dinosaurs. Journal of Vertebrate Paleontology 19 (4): 639-653. Mike, I am willing to accept that brachiosaurs and the biggest diplodocoids are cool, but come one the only ones? What about dicraeosaurs!!! Not only are they dead ace in general, but hell, if you want top-notch bizarre vertebrae what about the cervicals?! While brachiosaurids may be OK — all right, “best” — at basketball, they’re useless playing badminton. I’ll take a diplodocid over your best brachiosaurid, for my team, any day of the week. And let’s not even talk about cricket. Really, let’s not. I will accept that Dicraeosaurs have the most impressive quality-to-mass ratio among sauropods. And some day soon we should definitely cover the crazy vertebrae of Amargasaurus. Trouble is, they’re just so darned small. Yeah _Mamenchisaurus_ and _Omeisaurus_ falling apart is a bit of a surprise, but it makes me slightly pleased that a recently published phylogenetic definition of Mamenchisauridae (Naish & Martill 2007, p. 49) was anchored on _Mamenchisaurus_, as of course it should be. Re: Jerry’s nomenclature, I think that this was a brave and admirable attempt to get things to change and I respect Jerry for it. But it clearly hasn’t caught on, and changing the nomenclature for sauropod vertebral laminae was one of the main reasons that I decided to give up on it: it would just result in too much inconsistency in the literature. Naish, D. & Martill, D. M. 2007. Dinosaurs of Great Britain and the role of the Geological Society of London in their discovery: basal Dinosauria and Saurischia. Journal of the Geological Society, London 164, 493-510. We should ban smileys from SV-POW! I think, seriously. Taylor, M. P. 2007. Phylogenetic definitions in the pre-PhyloCode era; implications for naming clades under the PhyloCode. PaleoBios 27, 1-6. I suppose I had in mind Taylor’s (2007) recommendation that authors should ‘be generous in recongising deliberate but malformed definitions’. That said, I could live without WordPress’s awful habit of mangling references that end with an 8, so that “Wilson and Sereno (1998)” Becomes “Wilson and Sereno (199[SMILEY!]”. Oh, you mean apomorphy-based definitions. And I had the ‘amorphous smiley’ problem when writing the p. 498 citation given above. I also dislike the smileys because they screw with the formatting, over-spacing the lines. Agreed on smiley-spacing, but that is a problem with the implementation, not the concept. WordPress has no need, or permission, to mess with them really: if they were left as colon-minus-close-paren, that would suit me fine. No doubt when question marks and exclamation marks first made their way into the language, there were people who objected to them, too. Mike, Has Greg Paul published anything on why his Apatosaurus necks are so fat? When I first saw Scott Hartman’s skeletals I was suprised by how different they are. Also, on DML, Greg made some weird comment that the actual neutral neck orientation would place its head below ground level(?!). And I still do not understand why his neck for Apatosaurus is so “u-shaped”. On another note, I did notice that in one of the Suuwasea papers, the skeletal had this similar shape, and I was wondering whether that was just copying Greg’s work, or if it had basis in fact. By the way, it is sad that two paleontologists debating the use of smileys. Oy. Hi, Zach. I’d need to re-read my Paul papers to say whether he’s commented on the fatness of his Apatosaurus necks. But irrespective of whether he’s discussed it in print, I’ll say this: he’s dead right, and everyone else’s Apato necks represent a weedy compromise because they think (rightly) that the actual osteology is just too darned weird. If you believe the bones (and why wouldn’t you?) Apato’s neck would have been triangular in cross-section, like a giant Toblerone. There’s an image. In fact, Apato cervicals are so freakin’ freaky, I’m going to make another SV-POW! post right now to show you. Stand by. 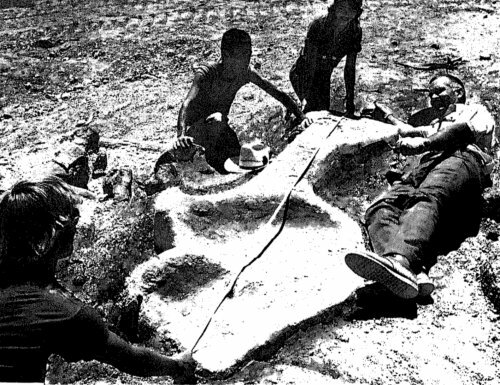 Sauropod heads below ground level? He may be onto something big! Follow where the evidence leads, I say. To Zach: I guess I’ll have to resent the implication that my apatosaur skeletal reconstructions differ substantively from Greg’s; as long as you compare my A. louisae (http://www.skeletaldrawing.com/sauropods/apatosaurus_louisae.png) to his I think you’ll find them disgustingly alike, except that I restore a ratite-ish cervical musculature that extends above the psoterior neural spines. It’s not my fault that Greg hasn’t published reconstructions of A. excelsus and A. ajax. As for the neutral position of Apatosaur necks, Greg made the same mistake Kent Stevens did; they both used the illustrationg from classic monographs when photographs from the same monographs (!) show them to be innacurate. I reported on that at SVP (Hartman, S. & Shinkle, L. (2006) Estimating osteological neutral position in sauropod axial skeletons: comparing two-demensional and three-dimensional methods of analysis.JVP 26(3) Abstracts pp.73) and in an upcoming paper. 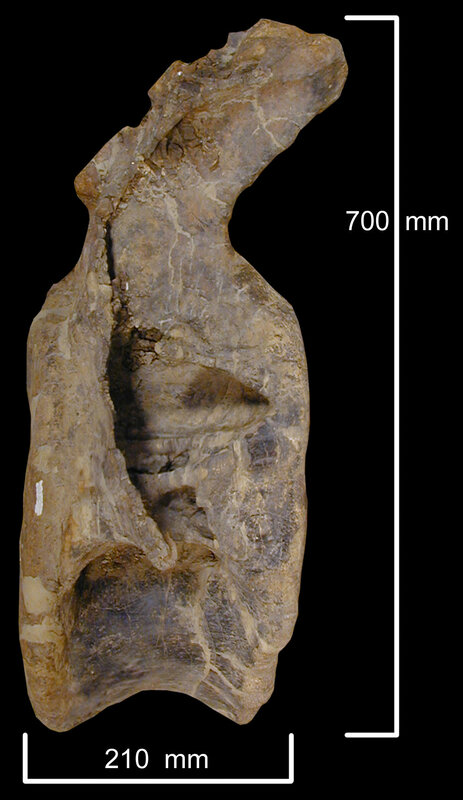 According with the Scott article, The BYU holoptype specimen is marginally larger than “Jimbo”, but the BYU 137445 (referred to the holotype) has the humerus and Ulna about 20% larger than “Jimbo”. This means that the holotype is far larger (about 7 meter more in lenght and nearly twice heavier) not marginally. Hi, Asier. You’re wrong :-) Lovelace et al. concluded that, because the ulna BYU 13744 was 20% longer than would have been expected for “Jimbo”, while the Supersaurus holotype is known from other elements to be only a little larger than “Jimbo”, the referral of that ulna to the Supersaurus holtype by Curtice and Stadtman (2001:36-39) was incorrect. … Except that Curtice and Stadtman didn’t, quite, refer the ulna to that _specimen_, only to the _genus_. So is it possible that BYU 13744 belongs to a 20% larger specimen of Supersaurus? As exciting as the prospect sounds, on the face of it I think not: it’s more likely that the ulna belongs to a brachiosaurid, which of course has proportionally a much longer ulna than diplodocids such as Supersaurus. Brachiosaurids are known from the Dry Mesa quarry, so this is not a stretch — but I’ve never seen the ulna nor even a photo of it, so I can’t say for sure. And with that extremely appendicular comment, I have shamed this blog. I will retire to contemplate my transgression. The length of supersaurus is often quoted at around 34m which i find a little conservative, since its a diplocid i will compare to diplodocus carnegi. diplodocus has a 6m neck and supersaurus neck vertabrae is 2.25 larger which is 13.5m. diplodocus body is 6m and supersaurus dorsal vertebrae is 1.5m larger which equates to a body of 9m. so neck and body for diplodocus is 12m compared to 22.5m for supersaurus which is a ratio of 1.88. now diplodocus has a tail of 14m bringing it to the 26m mark, which imply’s supersaurus must have a (14 x 1.88) 26m tail bringing it up to 48.5m but this is clearly false because a 34m length suggests a 11.5m tail which also seems ridiculous because it means its neck is longer than its tail and its not a mamenchisaurid but a diplocid who’s main charactistics are to have a tail that accounts for 50% of its length. I dont quite understand why the length estimates are so low when the animals tail must be at least longer than its neck and the entire creature could possibly be around the 40m mark. Peter, the cervical vertebrae of Supersaurus (like those of Barosaurus) are proportionally more elongate than those of Diplodocus, so extrapolating a total body length from its neck length is fraught with pitfalls. Yes i understand that its neck accounted for a higher percentage of its length than Diplodocus, so a 2.25 longer neck doesn’t equate to a 2.25 ratio in overall length but even Barosaurus had a longer tail than neck. An estimate of 34m seems to suggest that Supersaurus was built like Mamenchisaurus. It’s clear Supersaurus dwarfed Diplodocus carnigae in all respects but is only estimated at 8m longer (26 to 34) which seems a little skinny when you considers its a diplocid all be it in the mould of barosaurus. Fair point. The neck of Diplodocus carnegii holotype CM 84 is 6.5m long (Hatcher 1901:39) and its total length is sometimes given as 26 m. So its head, torso and tail combined account for 19.5 m. Even if Supersaurus was identical in head, torso and tail size to its lesser cousin, that 15 m neck ought to make the total length up to 34.5 m, which is — just — longer than the estimate you cite. So you agree that a 40m Supersaurus is not out of the question?